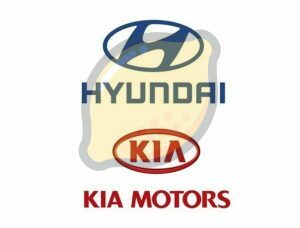 There have been a series of class action suits regarding an engine defect in “Theta II” engines in Kia and Hyundai vehicles. These suits allege a defect that causes “engine sludge,” or failure of the engine to lubricate itself properly – which can lead to an engine knocking condition, loss of power, stalling, premature engine wear and eventually failure, a fire in the engine, and other problems, such as interference with power steering. Kia and Hyundai have taken the position that the defect only affects a very small number of vehicles and is caused by a flaw in the manufacturing process that leaves metal debris in the crankshafts. They have admitted the problem requires engine replacement, but they have continued to blame the “metal debris in manufacturing process” even while claiming the previous problems were fixed by improving the manufacturing process. Our firm has seen examples of these defects, and the effect can be nasty. Besides the problems with the engines themselves and the questionable recalls, even when performed there is reason to be concerned about dealerships performing widespread engine replacements. Dealerships are not set up to be factories, and the delays in getting the parts also implicates the Song-Beverly Consumer Warranty Act’s “30-day” rule. Remember there are important factors to consider when deciding whether to remain in or opt out of a class action, and that pursuing your own individual lemon law remedy will nearly always be worth substantially more than what you would recover as an unnamed member of a class action. Contact us if you have a related problem in your vehicle, or if you would like more information.